Having 3 kids and a busy life, I don’t have a lot of spare time. So when I do have some time for myself I really have to make it count. 2016 is all about making things count and that includes self-care. And by that I mean more than the 10 minute bath that is squeezed in somewhere between Finn’s cat naps, getting Carter ready for school and Sophie’s Paw Patrol episode. Here in Alberta, our winters are cold and dry. Add the heated indoors and that makes for a static, dull hair catastrophe. 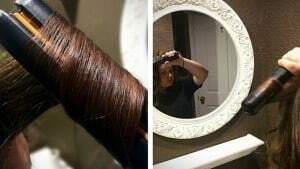 I knew that my focus of a new self-care plan had to include getting my drab hair back to life and lucky for me, I had the chance to try the new Garnier Whole Blends shampoo and conditioner over the holiday season. My favourite blend was the Royal Jelly, Honey & Propolis to heal and protect and I have started to see subtle and pleasant changes in my hair. It also comes in Green Apple & Green Tea which can help revitalize hair and boost its shine. The Garnier Whole Blends line is paraben free, uses gentle sulfates and natural extracts.As a mom with a family that takes ingredients in products seriously, that is definitely important. 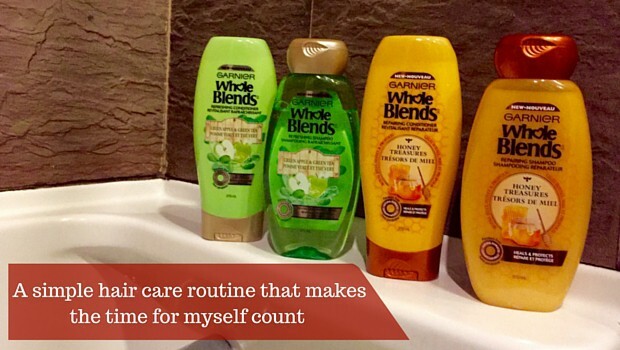 Garnier Whole Blends wants you to be able to pamper yourself with these new products too. Samples of the new Garnier Whole Blends shampoo and conditioner line are available for you to try out here! I have super dry hair in the winter too – looking forward to trying the hydrate line out!